I’m Nut’s About This Honey! At the farmer’s market in front of the Ferry Building, I stumbled on this particular stall selling honey. 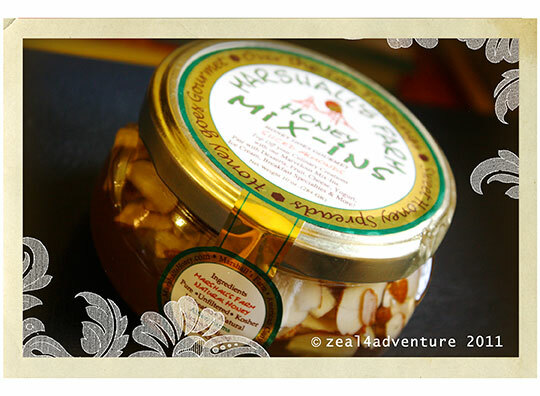 What struck me was this Honey Mix-ins, which brought about a lot of ideas on application. So I bought a bottle of the honey & sliced almonds hoping that it wouldn’t break or spill on me on my way home to the Philippines. Probably one of the best buys I had from the market. One real treat that I made from this honey (as soon as I landed) was topped a teaspoonful on Brie. Melted it a bit on a toaster oven and voilà! Makes a great hors d’oeuvre or an in between meal. One time I even had it for lunch! 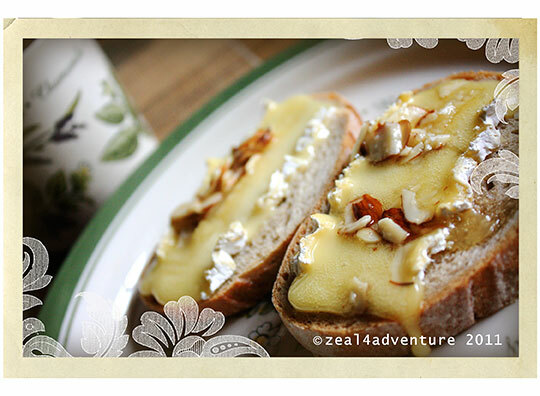 The sweet and crunchy honey mix added depth to the creamy cheese that keeps me making more. I just can’t get enough of it. Use good quality baguette or ciabatta bread. This mix-in is so versatile; it’s also a great topping for my oatmeal, yogurt or ice cream. Sometimes I just spread it on toast! If you come across Marshall’s Farm honey selections at your local market, do give it a try. 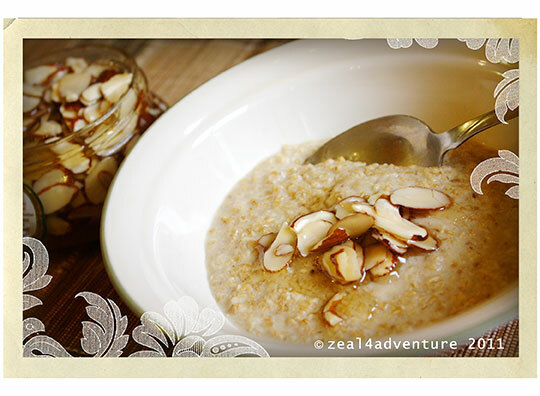 Or if you’re feeling diligent, you can probably make your own by adding almonds to your favorite honey. thanks also for the tip for action shots! must remember to use 1/60 shutter speed.